24 June 2016. The radio alarm goes off. It’s not quite time for the 6.30 news. There’s something soothing on Classic F.M. I can’t remember what now but it involves violins or a cello. Would we be celebrating tonight? Maybe some other bubbles, not the normal Friday evening beer. We’d be gentle of course. We wouldn’t flaunt our victory. Staying in would not be good news for everyone. We suspected all along the vote might be close. I work with a lot of people from other EU states. Some others are married to or partnered with citizens of other EU states. A few colleagues come from further afield. All of us have lived and worked abroad at some point. 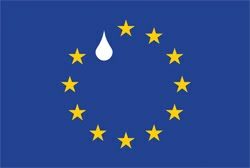 We send our commiserations to the colleagues who are from other EU states. “I feel like a foreigner all of a sudden,” says an Italian colleague – an expert on Shakespeare. Two others have already started the process of obtaining British citizenship. We pause. Maybe the commiserations should be coming the other way. Our colleagues from other EU states will be able to continue to work freely throughout the EU. We will not. Might some of the other fall-out of Brexit make UK universities a less attractive place to be? What with that and actual living being more difficult, won’t a lot of them look elsewhere for employment? I fear a brain drain. One colleague comes from Northern Ireland. Those with connections in the Republic can get Republican passports. “I know a lot of eligible bachelors and spinsters,” she quips. “Would anybody like me to set you up? So, Scotland wants to stay in. Will they try and split from the UK again? Can we go and live in Scotland please? “Scotland actually needs immigrants,” says our Scottish colleague. She finds us the information about how to move to Scotland. Our son has already looked into obtaining German nationality. They owe us, don’t they? It would all be a lot easier if my father-in-law had been on the Kindertranpsort but he’s English. We might yet give it a go though. What about the Netherlands? Didn’t they say when we lived there that it was just a matter of going for a glass of sherry with the mayor? Yes, we lived there for a couple of years and Martin worked there for another three, commuting weekly. We’ve owned property on Spain for over twenty years. Does that help? We read that our children should remain EU citizens after Brexit, as they were born in the EU, but we can’t quite find the mechanics for ensuring that. Are we clutching at straws? They’re undercutting the native English ones apparently. Now our plumber is Lancashire through and through. He’s very efficient, very reliable and very reasonable and I don’t think he feels threatened. Then we remember that actually he’s Irish. From the Republic. He goes there quite often at the weekend. The Lancashire accent is just to fool you. Okay, so it isn’t the worst migraine I’ve ever had but it is there until the following Monday as is the tendency to be tearful, angry and disbelieving. It feels like the end of a love affair. Yet for me personally it’s much more. I’ve been invested in inter-European understanding since 1972, possibly earlier. A dull ache is behind my eyes all the time and I have an incapacity to think of anything other than what has just happened. It’s a little too early by day four. But yes, getting away from Facebook is a good idea. “You lost. Get over it,” says a so-called friend. I decide it would be petty to unfriend her and ask myself whether I would have said the same had it been 52% Remain and 48% Leave. I hope not. I still await any explanation that convinces me why Brexit is a good idea yet here I am, on this blog, patiently putting forward my rationale.